With the return of the NFL through its 4-week August pre-season schedule (one of the first games of which saw the Denver Broncos defeat the Super Bowl champion Seattle Seahawks around 6 months too late), the well-known american football league has set out to further expand their media presence, with one of the biggest commercial entity in sport attempting to do so by teaming up with one of the most commercial technological entities in the world, Apple. An unsettling development for anyone who fears corporate powerhouses combining, though for the parties involved it will appear on paper as a mutually beneficial deal, as NFL add their NFL Now app to iPhone, iPad, and Apple TV. The app, which had been announced for a summer release on Xbox One (amongst other platforms) prior to the Apple announcement, is to guarantee 105 hours of original content per week, alongside an already-present 400 hours’ worth of archived footage. That archive is to include ‘historical highlights’ from each of the league’s 32 franchises, as well as of every Super Bowl from 1967-2009. Also featured will be access to the league’s ‘NFL Films’ selection, segments and features from the NFL Network, as well as live streaming of press conferences and NFL Network shows. Whilst the download and basic features of the app are free, the NFL are naturally pushing their more ‘premium’ packages, which include ‘NFL Now Plus’ for $1.99/month (or $4.99/month for non-American subscribers), bringing users instant in-game highlights, whilst select foreign viewers along with Americans will gain the added benefits of NFL Network live streaming and Sunday access to the NFL Red Zone. Whether those customers will consider it value for money remains to be seen, so will Apple become the ideal partner for the NFL to get to where they want in the streaming market? Now we’re going to have some fun watching our favorite sports teams live online! With today’s social networking combined with streaming technology, sports fans can enjoy the game and one another’s company at the same time. We’ll look at how this is done and how you can set up a cool way to watch your games with your friends at a distance and feel like you’re all at the best seats. First of all you find a site that streams your favorite teams. That could be a major network or a local network where your team resides or where the opposing team resides. They’re usually a CBS, NBC, or ABC affiliate but stream from their stations. Sometimes the teams themselves stream. Once you’ve found your stream you go for a chat client. One that might even have video like SKYPE or Google + or any of the multi-chat clients out there. You all meet up at the designated time, turn on your streams and you can chat via microphone or by text as the game goes on. You’ll have lots of laughs arguing and yelling and cracking jokes and you can record your events if possible for later replay and chuckles. If your brother lives in another city and you always watched games together, using a video chat client together is a way to bring that friendship and company together again and enjoy it. See how a little bit of digital legerdemain can lead to lots of fun? So give it a try. Find the right venue and software for you and sit back and enjoy the fun of streaming and social networking and watch your favorite sports teams live online. It’s all systems go for the 2014 Winter Olympics which start today in Sochi, Russia, and you have many options to watch live and recorded streaming via the web. 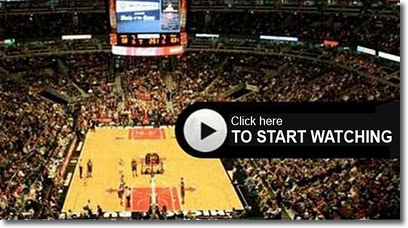 You can watch on computer, TV or any number of connected and mobile devices. The TV networks around the world are promising to stream everything in more than 1000 hours of live TV, including all sports competitions from Skiing, snowboarding and Bobsleigh, as well as everything in between. If you live in the US then NBC is the place to watch the action, although it does require authentication to get streaming those games live. Bad news for cord cutters who will have to watch time-delayed broadcasts on the NBC network (unless you ‘borrow’ login details from someone you know). Or if you use a VPN or are in the UK then BBC Sport has all the Winter Olympics coverage including free streaming on a number of devices (heres a good guide from PC Advisor). Canadians can do the same with CBC, and those in Oz can tune into Network Ten for those games. 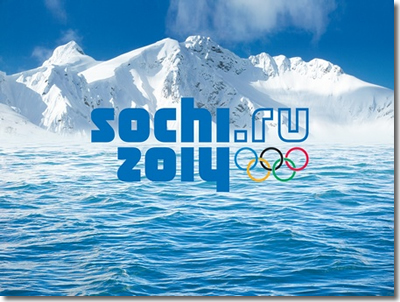 Forbes have a good guide offering tips for watching the Winter Olympics for free. And Gigaom give the info on where to watch mobile streaming and which apps are best. It’s that time of year again when a big sports event is being advertised all over the web. For people who don’t have cable and want to watch the game, streaming online venues are a good option. The problem is that many of these sites are bogus and a way for hackers to get you. These sites look official and with all the bells and whistles but all they’ll do is get your credit card and personal info and then put you in a hole of ongoing misery. In this case trust is the big word. You need to know which sites to trust. How to validate if the sites are good to go and that can be tough if you’re desperate. The Super Bowl is the biggest sports event in the world. People will record it and try to stream it online for their friends and relatives who live abroad. If you don’t have television or a way to get a broadcast from the official NFL sites then you have to walk on eggs as the difference between legit and illlegit is just one click away. What you want to do is go to the official sites to see if they have options. Then go to the official message boards and see what others have to say. Usually anyone posting a bogus site on the message boards will get slammed and removed quickly. Be cautious of the site you choose asks for a large sum of money or lots of personal information. They just want to get you for all they can and keep you on their communication lists. So that’s about it. Go official, ask the pro fans, be cautious and you should do alright. Sports network ESPN have had stand-out successes in their history (and in particular over recent years) with a line of documentary films on sport (namely the 30 for 30 series), but one that will not be joining their collection is PBS Frontline collaboration League of Denial, a piece aiming to investigate the reaction to concussions by top-level american football league the NFL (National Football League). First announced as a PBS/ESPN joint production in November, League of Denial was planned to be a franchise of investigation looking at the topic through a documentary as well as reports through both broadcaster’s websites and a book co-written by ESPN writers Mark Fainaru-Wada and Steve Fainaru. However, it appears now as though the dedicated sports broadcasters will not be participating in the project despite 9 months of planning and their attatchment naturally being a key draw to any plans PBS may have had. ESPN are believed to be holding ‘preliminary talks’ over launching a ‘web-based TV service’, with plans to release a dedicated on-demand video network for its content. Believed to be an effort to compete with the likes of Google TV and Sony but with a more specialised range of content, such a platform would be designed to run through web-based services as part of a package, although ESPN’s president John Skipper claimed that internet service providers planning to offer such content would need to pay the sports broadcaster ‘as much or more than’ traditional pay-tv (cable and satellite) providers in order to acquire the content rights. 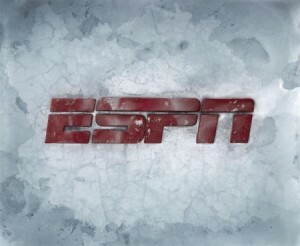 Skipper claimed that some providers had already been in contact for ‘preliminary talks’ on such a service (without naming names), but warned that ESPN online services would not be offered as a standalone product, designed purely as part of an ISP package deal in which the consumer can enjoy ‘the whole suite of products’. While ESPN seem clear on what they want to launch (even if they haven’t entirely explained that to the public yet), an internet sports service will definitely have the potential to go down well with ISP customers, but will anyone feel like they are missing out without the option to take the broadcaster’s streaming platform on its own?